Hey Diary Keepers, I’m sorry I have been MIA, which was due to exams and some activities, but now I’m back! Exams are finally Over and I’m back home for the holidays (Let the Summer begin!) . Everyone wants to have good clothes and possibly a ton of them, but not everyone has the money (Our Wardrobe don’t represent our IntentionsDreams), so here are some tips on how to shop on a budget and it sure works for both male and female! Most people usually go shopping without checking and knowing what they have in their closet, then go get a new item without having NOTHING to go with it, thereby making them to go out and buy more items to go with the new items. Digging up your clothes in your closet, also helps you rediscover some awesome clothes you had but never wore them or find ways you can revamp your style. Now you have more clothes without even going shopping! It sure sounds easy and common sense, but when you start shopping for less and get good bargains, you get carried away and think you saving money by buying more at a less price, especially those things you don’t need. I usually make a list of what I need before going shopping. Know what you are shopping for. Ask Yourself: Would I buy this, even if it wasn’t on Sale? 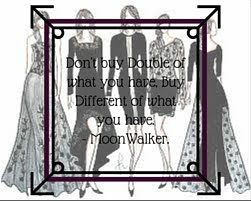 Don’t buy Double of what you have, buy Different of what you have. For example, If you already own a long trouser, don’t buy another one (except it’s bad), instead buy a culotte, so as to have a mix in your Closet. So instead of owning a lot of Flares, you own a Flare and a Culotte, so next time you go shopping, it will be about increasing the number. Shopping on Sales helps a lot in saving your money, as you can buy high quality clothes at a lesser price. Think about clothes you will wear before the season or time comes, so you can buy it ahead of time because it will be way cheaper now, than it is in the season, which helps saves money. Most stores, usually stock up a month ahead of time, which gives you the chance to buy ahead and save more. Spend less on pieces where the quality of the item won’t show or no one will notice the quality.e.g. underwear, polo shirts, socks, belts. Don’t spend much money on such, so as to have more money to spend on quality clothes and premium pieces. Co-ord Sets are versatile and cheaper than separates. It’s like buying two clothes for the price of one, which could be worn together or separate. Which means more clothes in your Closet! NOTE: There is no need to have each item of an outfit to be expensive or outstanding. All you need is one classy piece and have everything else complement it. Buy Useful Items not Aspirational Items. 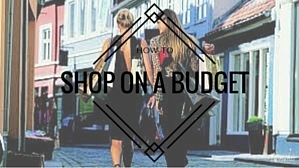 So what other tips do you have and also what do you do when shopping on a budget?, Kindly share as I sure would love to know. How have you been? and what have you been up to? Have I not given you your orders? Take heart and be strong; have no fear and do not be troubled; for the Lord your God is with you wherever you go, – Joshua 1:9.